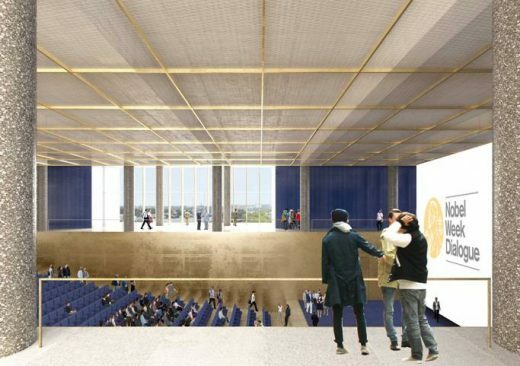 The Nobel Centre building proposal has been blocked following a change of municipal government in the Swedish capital. The contentious design have been halted by the city’s new centre-right Alliance-Green government, which took hold following elections in early September. 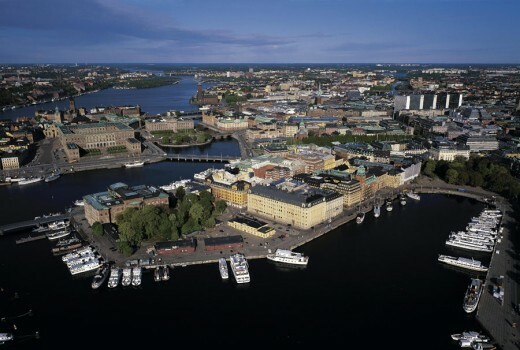 The news comes five months after Sweden’s Land and Environment Court ruled against construction work starting on Chipperfield’s waterfront structure, saying it would ‘cause significant damage’ to the historic Blasieholmen district. 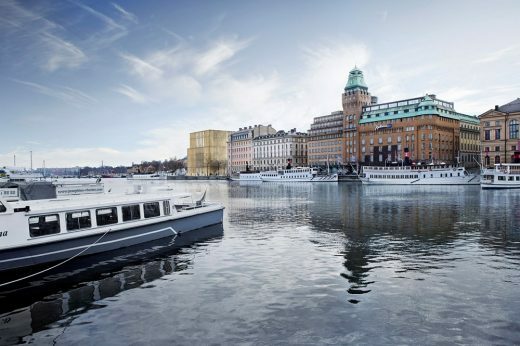 Following the verdict, the City of Stockholm’s former leadership announced it would appeal the ruling, which deemed the £100m scheme ‘would affect the readability of Stockholm’s historical development as a port, shipping and trading city’. But that appeal could now be abandoned, leaving the original court ruling blocking the scheme in place. In response, the Nobel Foundation has accused the City of Stockholm of reneging on agreements which dated back seven years. A Swedish court has ruled against the construction of this controversial building which has been criticised by King Carl XVI Gustaf. The brass-clad design by British architect David Chipperfield involves demolition of a 19th century customs site. The Land and Environment Court of Appeal ruled that the building “would affect the readability of Stockholm’s historical development as a port, shipping and trading city”. The court said the construction would “cause significant damage” to the preservation of Blasieholmen’s cultural heritage and environment. The project will be part financed by the Wallenberg family, one of the richest in Sweden, and by the Persson family, which controls the H&M high street fashion chain. It was due to start on site in 2017 but has been held back by court proceedings. This waterfront architecture battle has echoes of that for St Petersburg – Lakhta Centre, aka ‘Gazprom Tower’ – and for Liverpool – Liverpool Waters. In St Petersburg UNESCO blocked original efforts by threatening to strip the city’s center of its World Heritage status. Liverpool got a ‘final warning’ in July 2017 that the city might be struck off, with the large Liverpool Waters development (waterfront) singled out. There has only been one deletion in UNESCO’s history. February 9, 2018 – Large-scale activities based on Nobel Prize-awarded achievements and works will take place at the future Nobel Center. School pupils, tourists, Stockholm residents and an interested general public will be invited there to be inspired to help create a better world, in the spirit of Alfred Nobel. Today it is being officially announced that Elekta will become the first company in a new group of partners to support these activities, which have already begun to emerge. “Since Alfred Nobel wrote his will in 1895, science, humanism and peace efforts have led to new discoveries that no one previously thought possible. By supporting the activities of the Nobel Center, Elekta is showing a clear social commitment to outreach activities created on the basis of the achievements for which the Nobel Laureates are honoured,” says Dr Lars Heikensten, Executive Director of the Nobel Foundation. The activities at the Nobel Center will be funded via ticket revenues as well as Swedish central and local government grants, but also via partnerships with a number of organisations that see the advantages of the activities that are now emerging. Elekta, a company that aims to improve, prolong and even save patient lives, has now become the first company in a new group of partners that will contribute funding to the activities of the Nobel Center. In November 2016, the Swedish government and the City of Stockholm announced that they will provide a total of SEK 180 million to support the operations of the Nobel Center during its first three years. The construction of the Nobel Center building is being financed via donations from several foundations, companies and private individuals. More than SEK 1.1 billion has already been raised for this purpose. April 21, 2017 – Ylva Lageson has been recruited to the role as Chief Executive Officer of Nobelhuset AB, the company entrusted with planning, constructing, owning, managing and improving the Nobel Center in Stockholm. 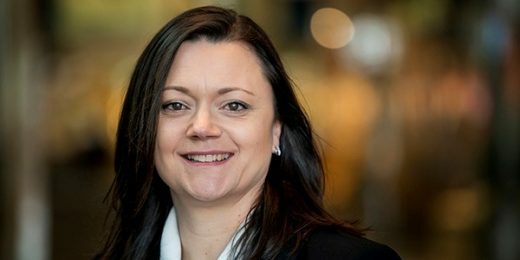 Ylva Lageson’s most recent position is as Deputy Head of Division at NCC Building Sweden. She has more than 20 years of experience from construction project activities and has participated and been in charge of numerous projects of varying complexity and stakeholder structures at all stages from project concept to implementation. Mästerhuset, a LEED Platinum-certified office building on Mäster Samuelsgatan in Stockholm’s central business district, and the Clarion Hotel at Stockholm Arlanda Airport are examples of projects managed by Ylva Lageson in recent years. “We are pleased that we were able to recruit Ylva Lageson at a phase when the Nobel Center will soon transition from planning to becoming a reality. With great dedication, Susanne Lindh has successfully advanced the project in her role as CEO since 2014. I am convinced that Ylva Lageson, with her many years of experience from large construction projects, has exactly the right professional profile and expertise to further pursue the project,” says Lars Heikensten, Chairman of the Board of Nobelhuset AB and Executive Director of the Nobel Foundation. In April 2016, the Stockholm City Council approved the detailed local plan for the Nobel Center. In February 2017, the Stockholm County Administrative Board rejected the appeals that followed the City Council’s decision and approved the local plan. These were two important steps forward for the project. Construction work is expected to take two years and will begin once the local plan has gained legal force. After a long career that included serving as Director of Stockholm’s City Planning Administration and before that managing investment and project operations at the Swedish Road Administration, Susanne Lindh is leaving the role as CEO to pursue her own business. Ylva Lageson will assume her position as CEO of Nobelhuset AB in August 2017. Carl XVI Gustav claims the Stockholm building ‘does not have to be of this huge volume’. King Carl XVI Gustav has become the most august Stockholm resident yet to object to plans to build a British-designed Nobel Centre on a historic site in the city, reports The Guardian. “It does not have to be so gigantic, of this huge volume,” the generally restrained Swedish monarch told Dagens Nyheter newspaper on Thursday, adding his voice to a storm of protest that has greeted the 1.2bn krona (£100m) project. The king also said the sprawling brass-clad structure, designed by the British architect David Chipperfield to house the Nobel Foundation and host its prestigious annual prize ceremony, would dominate Stockholm’s celebrated 19th-century waterfront. Finally he also doesn’t like the brass colour. Carl Gustav will be able to see the building from the royal palace. Queen Sylvia suggested “Why not have a referendum”. British architect David Chipperfield told Swedish radio, “The size of the building is determined by what is necessary for a Nobel Centre”. David Chipperfield Architects presented the schematic design for the new Nobel Center in a public presentation this morning in Stockholm. While maintaining the initial concept, the design has been further developed. The auditorium has been developed into a forum-like space, introducing seating rows which face each other. The structure of the auditorium now defines and connects the spaces of the floors below and above. 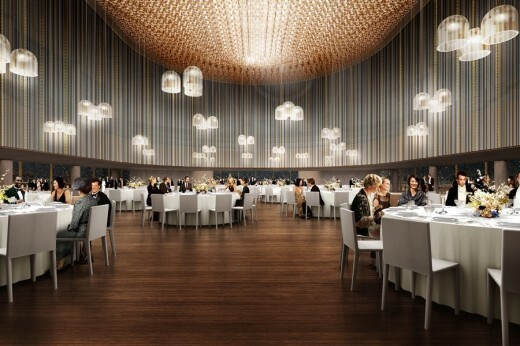 The main restaurant and bar have been moved to the top floor, establishing a unique venue that strengthens the public character of the Nobel Center. The building’s shape has been further refined, subtly accentuating the tripartite division of base, middle and top. The façade of thin vertical bronze fins placed in varied densities envelopes the building. A less dense rhythm on the upper floors allows visitors to enjoy expansive views over the city. 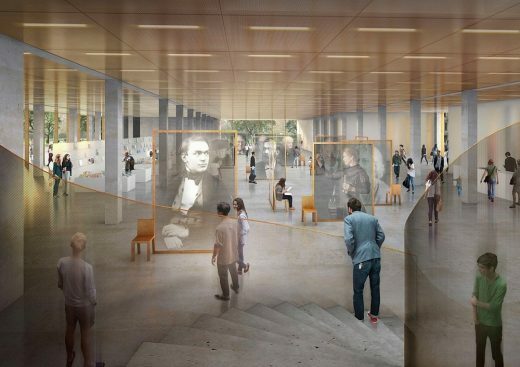 The new building will give the Nobel Prize a home for the first time in its history. Construction is scheduled to begin in 2017. 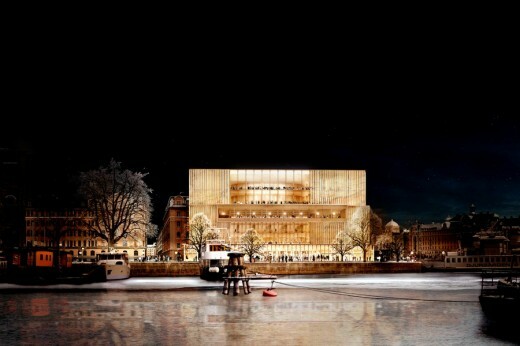 On April 25, the Stockholm City Council approved the detailed local plan for the Nobel Center and the building designed by David Chipperfield Architects. 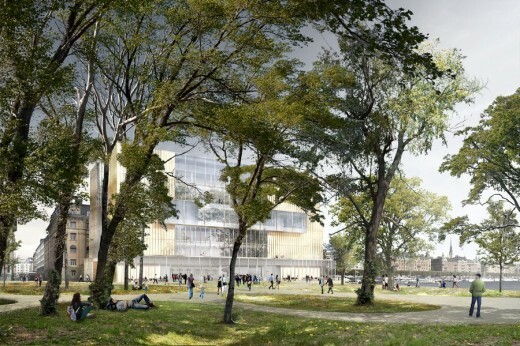 Work will now move forward, with the aim of starting construction on the future home of the Nobel Prize in Stockholm. “We are pleased with this resounding Yes from the political leaders in Stockholm. I am convinced that the building in itself and the activities that will take place there will be highly appreciated. Likewise, the area around the Nobel Center – with well-equipped quays and walkways – will make the site more accessible than it is today for Stockholm residents,” says Lars Heikensten, Executive Director of the Nobel Foundation. 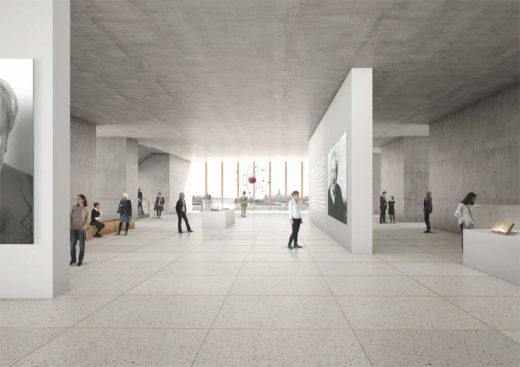 ”The public nature of the building – with its unique exhibitions, extensive activities for school children as well as meeting and lecture programmes – will be an asset for all of Stockholm and Sweden. The scientific programme will also help attract researchers and Nobel Laureates from all over the world to visit Stockholm in order to discuss the major issues of our era,” says Carl-Henrik Heldin, Chairman of the Nobel Foundation. During the past year, an exhibition concept and the scientific programmes have been developed that will take place at the Nobel Center. This autumn the next step will be taken by starting the task of concretising the school activities in the building. The ambition is to ensure that all children in Sweden will have an opportunity to visit the Nobel Center once during their schooling to learn about the 900 Nobel Laureates who have been rewarded over the years. 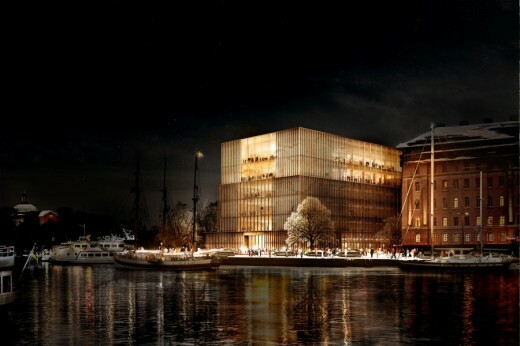 The Nobel Center on the Blasieholmen peninsula will be the home of the Nobel Prize in Stockholm. It will build its public activities around exhibitions, school programmes, meetings and lectures about the Nobel Prize’s unique combination of subject areas – natural sciences, literature and peace. Based on the Nobel Prize-winning contributions and inspiring stories of the Laureates, the Nobel Center will be able to examine history as well as our own era and the major issues that are crucial to our world and our future. The building was designed by architects David Chipperfield and Christoph Felger, who were selected by a unanimous jury in April 2014 as the winners of the Nobel Center architectural competition. Our aim is to begin construction in 2017, with completion about two years later. 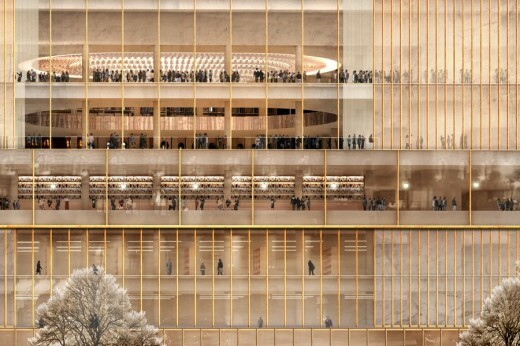 March 15 – Today the City Planning Committee approved the detailed local plan for the Nobel Center and the building that Sir David Chipperfield designed – an important step in the task of creating a home for the Nobel Prize in Stockholm. “We are pleased with the support that the City is showing for the building we have developed together with one of the world’s foremost architects. The public nature of the building – with its unique exhibitions, extensive activities for school children as well as meeting and lecture programmes – will be an asset for all of Stockholm and Sweden,” says Susanne Lindh, CEO of Nobelhuset, a company owned by the Nobel Foundation whose objective is to plan, construct, own, manage and develop the Nobel Center and to carry out related activities. This spring, the planning of the activities that will take place at the Nobel Center will continue, and detailed planning of the building itself will move forward. Among other things, the scientific programme that is being developed for the Nobel Center will be unveiled. A concept for the future exhibitions in the building, which is being put together by the Nobel Museum in Stockholm and the German-based exhibition design firm Atelier Brückner, will also be put on display. “The Nobel Center will be a place where we will take advantage of the Nobel Prize’s ability to inspire people to seek their own knowledge, question the status quo and desire to understand and improve the world,” says Susanne Lindh, CEO of Nobelhuset. The new Nobel Center is situated as a ‘solitaire’ in a prominent water-edge position on Blasieholmen next to the Swedish National Museum in the centre of Stockholm. ‘Nobelhuset’ gives the Nobel Prize a home for the first time in its history, strengthening Blasieholmen as an even more prominent cultural destination and celebrating human endeavour in the centre of the city. It unites under one roof an auditorium, a museum, conference facilities, offices, a library, a restaurant, a café with bar and a shop. The auditorium, ‘Nobelsalen’, crowns the new building as its architectural highlight and will be the future venue for the prestigious Nobel Prize Ceremony. A public route provides circulation and access to the building. With its starting point on the open ground floor, it leads up to the auditorium, accompanied by diverse museum activities on the way, allowing spectacular views over the city of Stockholm. A new garden, ‘Nobel Trädgård’, is established on the south side of the building. Together with the already existing National Museum park and the promenade on the water-edge, this garden creates a new public and generous natural space in the centre of the city. The Nobel Prize has been awarded annually since 1901 as the most prestigious distinction for outstanding human achievements in the sciences, literature and peace. The Nobel Prize may be considered the most significant prize for outstanding human achievements in the sciences, literature and peace in the world. Since 1901 when the first prizes were awarded, the Nobel Prize has been associated with integrity, autonomy and freedom, fostering the ideals of a just and peaceful world. The new Nobel Center – ‘Nobelhuset’ is not only a starting point to consolidate the admirable past in one place, but to build a foundation from which to move on into a new era of openness and outreach. An era in which the achievements of the Nobel Prize and its ideals are not only preserved and made available to historians, but become an active and lively source of inspiration for generations to come, encouraging them to not give up the hope and the belief that human accomplishments can contribute to a better world. Stockholm, Sweden and the rest of the world. A public route provides circulation and access to the building. With its starting point on the open ground floor and accompanied by various museum activities, it leads past the library, the conference area, the restaurant and the offices up to the auditorium, bringing together the diverse activities of the building. A new garden, ‘Nobel Trädgård’, is established on the south side of the building. Together with the already existing National Museum park and the promenade on the water-edge, this garden creates a new public and generous natural space in the centre of the city. The façade made of transparent and opaque glass and stone elements envelopes the building like a dress and changes its appearance depending on the daylight situation and the activities within. It seems to oscillate between solidity and lightness, austerity and playfulness, enclosure and openness, thus reflecting the values of the Nobel Prize between tradition and modernity, history and future. 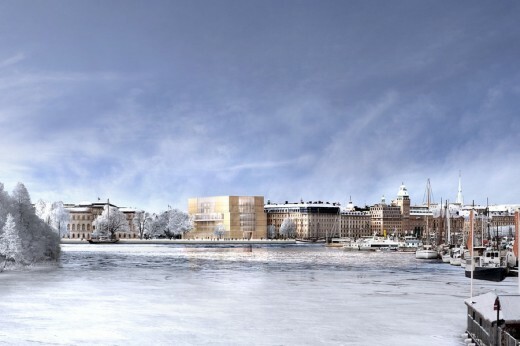 Stockholm, April 2 2014 – on Wednesday, April 9 there will be a presentation of the winner of the international architectural competition for the Nobel Center – the new home for the Nobel Prize on the Blasieholmen peninsula in Stockholm. 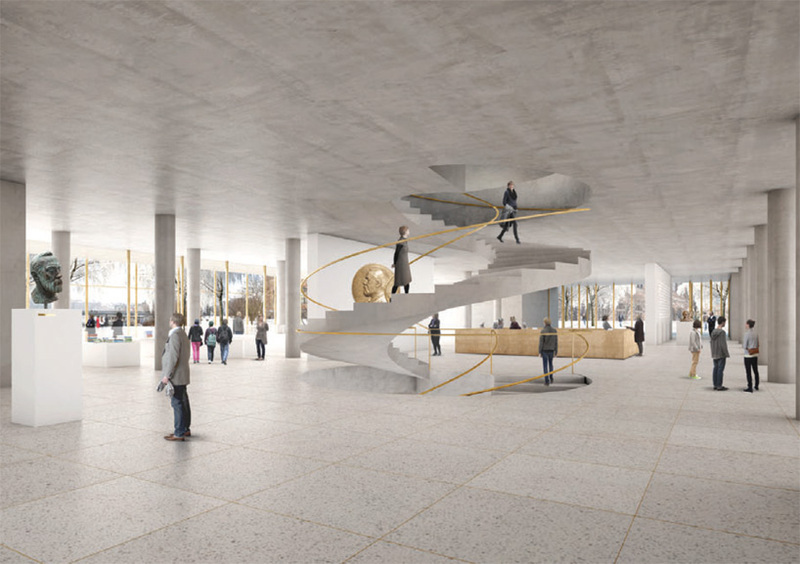 June 2013 marked the beginning of a two-stage architectural competition to design the building that will become the Nobel Center – the new home of the Nobel Prize in Stockholm. The competition jury has now decided which of the entries will be further developed during a second stage. From the jury’s review: The proposed building conveys dignity and has an identity that feels well balanced for the Nobel Center. The limited footprint of the building allows room for a valuable park facing the eastern portions of the site, with plenty of space for a waterfront promenade along the quay. The façade surfaces will also reflect light from the sky down into the street or open space on Hovslagargatan. From the jury’s review: One of the foremost qualities of the building is the openness of its entrance level. Its glass façade is inviting and creates close contact between outdoors and indoors and between urban life and the activities in the Nobel Center. The grand stairway is a classic element that can give the building a dignity that fits the identity of the Nobel Center. From the jury’s review: The proposal is a coherent, classically proportioned building that connects to the surrounding cityscape. Because the building is placed at an angle to Hovslagargatan, this creates an attractive open space near the entrance. The proposal also leaves ample room for a waterside promenade and outdoor public areas. In many ways, its materials and appearance are well adapted to the purposes of the building. At the Nobel Center, the focus will be on the stories of the Nobel Laureates. These are stories of courage, conviction and persistence. Stories which prove that ideas can change the world. The ambition is to make the Nobel Center one of Stockholm’s most attractive destinations, with spaces for exhibitions, school programmes, events, interdisciplinary meetings, a library, restaurant and shop, as well as parking facilities. 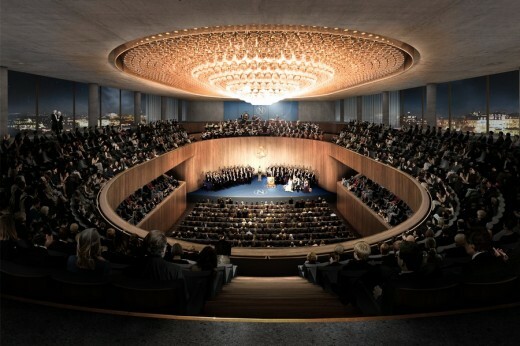 The building will also house a large auditorium, where the annual Nobel Prize Award Ceremony can take place. In its assessment work, the jury attached great importance to the building’s adaptation to the surrounding cityscape and cultural environment, as well as how the external design fits together with the Nobel Prize and the identity of Nobel activities. “The competition entries really showed great breadth. It was an enjoyable and rewarding process for those of us on the jury to evaluate all the entries. The three design proposals that we have now chosen all have qualities that make them possible as the new home of the Nobel Prize in Stockholm,” says Lars Heikensten, Chairman of the competition jury and Executive Director of the Nobel Foundation. Through Nobelhuset AB, the Nobel Foundation announced the competition, which is being implemented in two stages. Participating in the selection process were 142 architects spread across 25 countries and four continents. They were evaluated on the basis of suitable experience to design the planned Nobel Center. There was also an ambition to achieve a breadth among the architects, with internationally well-known names as well as smaller offices. Stage one of the competition covered the main concept, general allocations and design of the building and its relationship with the surrounding environment.The jury assessing the competition proposals consists of eleven individuals with expertise in architecture, museum activities, construction and real estate matters and Nobel activities. The jury was entrusted with selecting 2-5 proposals, which are being invited to continue to stage two. After this selection was made, the anonymity of the proposals was ended. In preparation for stage two of the competition, the competition brief is being supplemented with more detailed requirements. The shortlisted architects’ proposals will be submitted early in February next year after further development and refinement. A winning proposal will be selected in April 2014 and will then serve as the basis for a new local plan, with consultations under the auspices of the City of Stockholm. The project advances with the aim of opening the doors of the new Nobel Center late in 2018. Eleven prominent architects have now submitted their design proposals regarding the Nobel Center on the Blasieholmen peninsula in the Swedish capital. The competition jury will start evaluating the entries to be able to present two to five finalists in November. The anonymous competition entries are available at the Nobel Museum in Stockholm and on the website Nobelcenter.se. The Nobel Center is established in the spirit of the Nobel Prize; its vision is to work for the good of humanity. By awakening interest in and disseminating knowledge about the Nobel Prize, the Nobel Laureates and their efforts to a global audience, the Nobel Center aspires to sow the seeds of future achievements for a better world. The Nobel Center’s mission will be to promote creativity and new thinking, thereby contributing to finding solutions to the major challenges of our time and of the future. 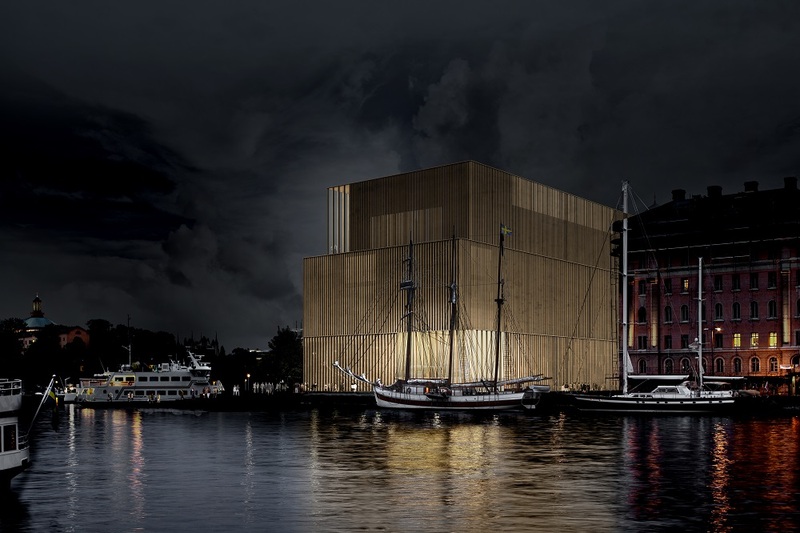 Stage one of the international architectural competition includes an overall design concept for Nobel Center explaining how the building will relate to the surrounding urban and marine setting on Blasieholmen. The proposals are anonymous and assessed by criteria in the competition brief. To their aid, the jury has specialist reference groups from various areas of expertise. The jury will not comment on any proposal until November 2013 when two to five proposals have been selected to proceed to the second stage of the competition upon which the names of the finalist architects will be revealed. Thus, the finalists will have the possibility to participate in public discussions regarding the design of the future Nobel Center. The second stage of the competition includes further refinement. A winning proposal will tentatively be presented in April 2014. It will then make basis for the detailed planning process. The jury that assessing the competition proposals consists of eleven individuals who possess a broad range of specialised knowledge of value to the Nobel Center. The composition of the jury is presented in its entirety below. The entries are available at Nobelcenter.se and in a public exhibition at the Nobel Museum in Stockholm. Free admission on Tuesdays 5–8 pm, for other hours and more information please visit the website of the Nobel Museum. Thanks to a generous donation, most of the financing has been secured for construction of the Nobel Center on the Blasieholmen peninsula in central Stockholm. The donors are the Erling-Persson Family Foundation and the Knut and Alice Wallenberg Foundation. Together these donors are contributing SEK 800 million, making it one of the largest private donations for a project of this kind in Sweden. “We are delighted that we can now realise the more than century-old dream of a Nobel Center. With this donation, the two foundations are showing their commitment and support for projects that will promote the dissemination of knowledge. The Nobel Center is an important investment in the future of Stockholm. A strong home base will also enhance the ability of the Nobel system to develop internationally,” says Lars Heikensten, Executive Director of the Nobel Foundation. The work to realize the Nobel Center can now proceed in collaboration with the City of Stockholm. This means that the Nobel Prize will have a home in Stockholm and that a long-awaited attraction will become a reality. Through its broad public activities, the Nobel Center will invite people into the Nobel Prize’s unique world of natural sciences, humanities and peace efforts and become a meeting place that encourages curiosity and creativity. “It is with great joy that we have chosen to donate funds to create a home for the Nobel Prize in Stockholm. The Nobel Center will be a place that stimulates curiosity and learning among a younger generation and where researchers, students, decision makers and an interested general public can come together to find answers to the major issues of the future,” says Stefan Persson, Chairman of the Erling-Persson Family Foundation. “Contributing to the Nobel Center feels important. For a long time, the Nobel Prize has been a vital institution that has reinforced the image of Sweden as a leading knowledge-based nation. The Nobel Center will enable Stockholm to offer a platform that provides uniquely good opportunities to attract prominent researchers and to generate scientific activities of the highest international calibre,” says Peter Wallenberg Jr, Vice-Chairman of the Knut and Alice Wallenberg Foundation. The donation means that the international architectural competition can begin. This will occur on June 14, when the twelve selected architects are invited to Stockholm to attend an initial seminar. During the spring of 2014, a winning proposal for the design of the Nobel Center will be unveiled. According to the preliminary timetable, the Nobel Center can open its doors to the public in December 2018. The conditions for the architectural competition and the jury will be announced at a press conference on June 14, 9.00 at the Nobel Museum. The participating architects will be present. 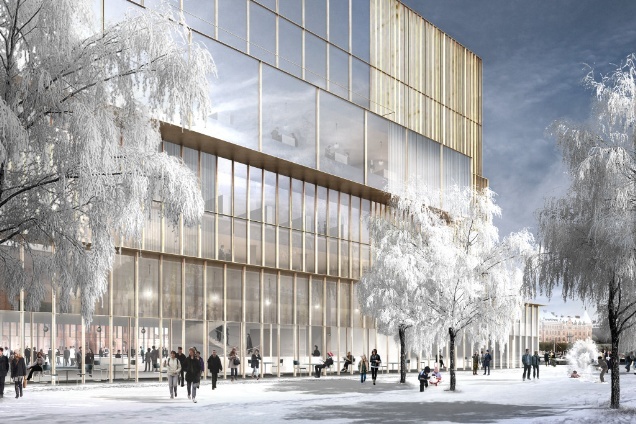 During the winter there has been a selection process to choose the architects who will be invited to participate in the planned architectural competition to design a Nobel Center at Blasieholmen in Stockholm. In total, over 140 architects have been considered by a specially appointed evaluation committee. Of these, 12 have been selected to be invited to the architectural competition. Within the two-stage competition, the architects’ task will be to design the building that will become the new home of the Nobel Prize in Stockholm. The building will house the Nobel Foundation, together with associated activities that the foundation initiates within research, educational efforts, museum operations and digital media. The building will contain public rooms for exhibitions, scientific conferences, meetings and events, as well as a library, restaurant, café and shop. The ambition is that the Nobel Center will become one of Stockholm’s main attractions. Important criteria in selecting the architects included design and artistic abilities and experience working in intricate urban environments where historical context and the natural environment must be considered with sensitivity. Practical considerations included the architects’ ability to develop the project in close cooperation with the client over the course of a lengthy planning process and their experience managing construction projects cost-effectively. The names of members of the jury will be published in conjunction with the start of the competition. “The competition will begin once the majority of the project’s financing has been secured. Encouraging discussions are currently on-going with several donors, and we are confident that we will secure the necessary financing to begin the architectural competition and carry out the project during the current calendar year,” says Lars Heikensten, Executive Director of the Nobel Foundation. © The Nobel Foundation 2013. Nobel Prize®, and the Nobel Prize® medal design mark are registered trademarks of the Nobel Foundation.